Collision regulations are the bible for the navigators. This is the area onboard that do not distinguish between a fresh third mate and an experienced captain. Everyone who is supposed to keep an independent navigational watch on wheelhouse is supposed to have the same level of understanding of each rule of the road. The problem is that the rules of the road though carefully drafted; have not been written in an easy language that everyone can understand. There is a lot of scope to read between the lines. For example, While there is a rule on the narrow channel the definition of narrow channel is left to the interpretation of the seafarers. Rule 2 of the COLREGS (Responsibility) is one such rule. In this post, we will discuss the rule 2 of the COLREGS. Why Rule 2 was required? Some cooks do not like to be told how to cook food on ships. Once upon a time, someone on a ship told the chief cook that his food, though very good always have a little bit of extra salt. Next day onwards he found the food with absolutely no salt in it. Rule 2 of the COLREGS aims to avoid a similar situation with the collision regulations. 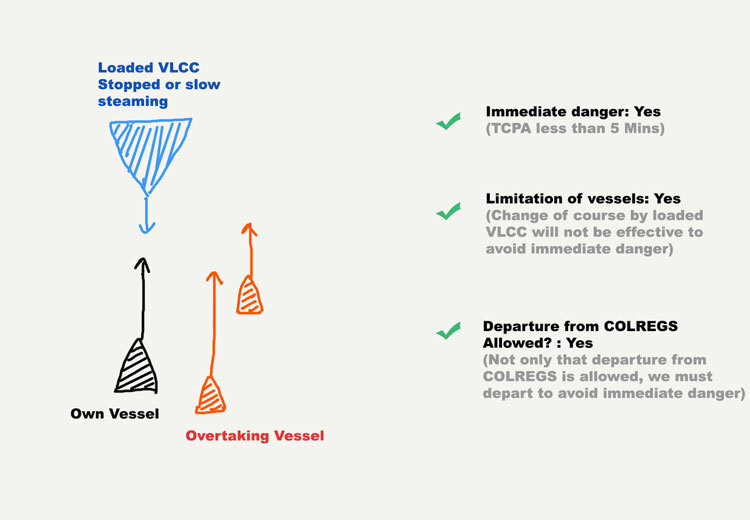 Each rule of the COLREGS has specified the exact actions that need to be taken by each vessel on a collision course. But what if some seafarers followed these rule strictly to a point that the vessel could be in grave danger if at that point COLREGS was followed. 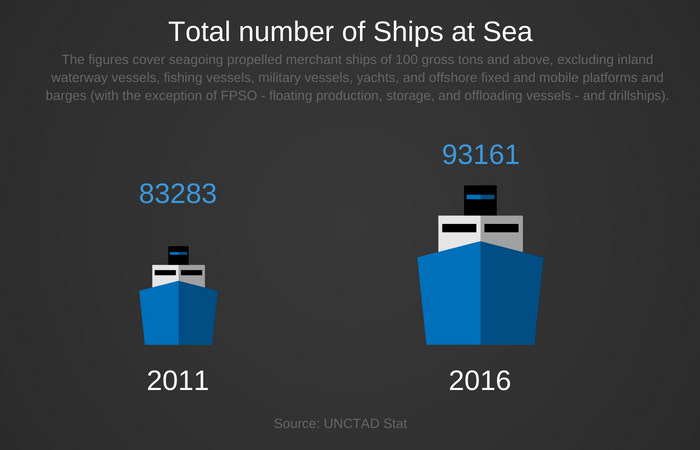 Sea is vast and there is an increasingly huge number of ships at sea. Which means that there could be thousands of peculiar situation that a ship could be subjected to. To define each of such situations and action to avoid the collision in these thousands of situations could be as difficult task as telling the chief cook the exact amount of salt that he needs put in the food. Instead, we can give the menu of the week to the chief cook and ask the chief cook to use his common sense to prepare the food that would taste good. This common sense could be called ‘ordinary practice of cooks”. 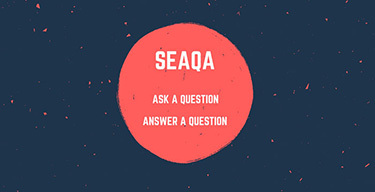 Similarly, instead of defining each and every peculiar collision situations, we can define the most common situations and ask the seafarers to use their common sense to follow these rules as well as any peculiar situation that they may encounter. This common sense is called ordinary practice of seaman. In short, rule 2 of the COLREGS asks the seafarers to follow the rules of the road but following the rules of the road cannot be an excuse for collision. Let us discuss rule 2 in detail now. Here is the complete rule 2 of the COLREGS. (a). Nothing in these Rules shall exonerate any vessel, or the owner, master or crew thereof, from the consequences of any neglect to comply with these Rules or of the neglect of any precaution which may be required by the ordinary practice of seamen, or by the special circumstances of the case. (b). 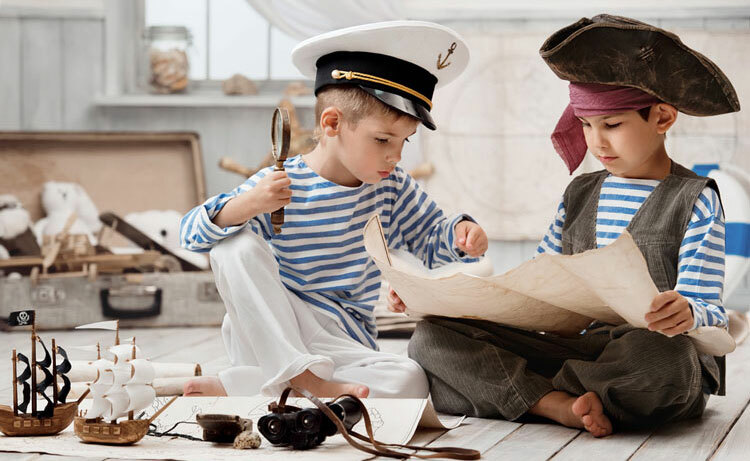 In construing and complying with these Rules due regard shall be had to all dangers of navigation and collision and to any special circumstances, including the limitations of the vessels involved, which may make a departure from these Rules necessary to avoid immediate danger. First thing first. 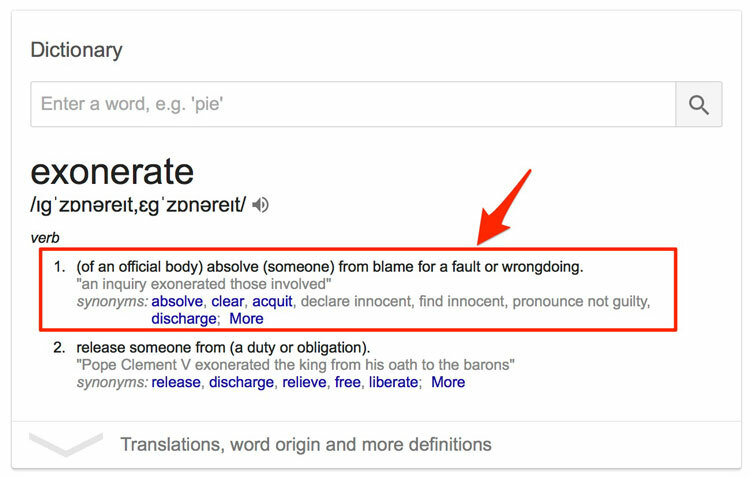 The dictionary meaning of the word “Exonerate” is “to absolve someone from a blame for a fault”. And the simple meaning of this line is straightforward. We need to comply with the rules of the road. In case of an incident that was the result of someone not following the rules of the road, there could absolutely be no excuse. But there is something more that this line of the rule 2 implies. It does not just put the entire responsibility on the navigator on the bridge at the time of the incident. It involves the vessel, the shipowner, the master and the crew of the ship. For example, the shipowner cannot have the defense in a collision incident that involves navigators of his ship not following the rules. It is also the general responsibility of the shipowner to ensure ( i.e. through periodic navigational audits) that the ship crew follows the rules of the road. Similarly, it is the responsibility of the master to ensure that his navigators follow the rules of the road. In other words, rule 2 sets the responsibilities straight. It is the responsibility of the master and the owners to create an environment of compliance with the rule of the road. And it is the responsibility of the navigator at the scene to actually follow the rule of the road. There is no way to escape this responsibility. or of the neglect of any precaution which may be required by the ordinary practice of seamen, or by the special circumstances of the case. You are on a vessel and there is another vessel head-on. You usually Alter course at 6-mile range which is absolutely fine. You arrive at 6-mile range from this vessel only to find yourself in this situation. A situation where there is no room for alteration of course and avoid the risk of collision with another vessel. In case of collision, no one can escape with an excuse that “we wanted to follow the COLREGS but there was no room for alteration of course and avoid the risk of collision”. Rule 2 of the COLREGS not only required to follow the rules but also to take required precautions. The precautions to not to arrive in a situation that would warrant a situation where there is no possible way to ROR compliance. 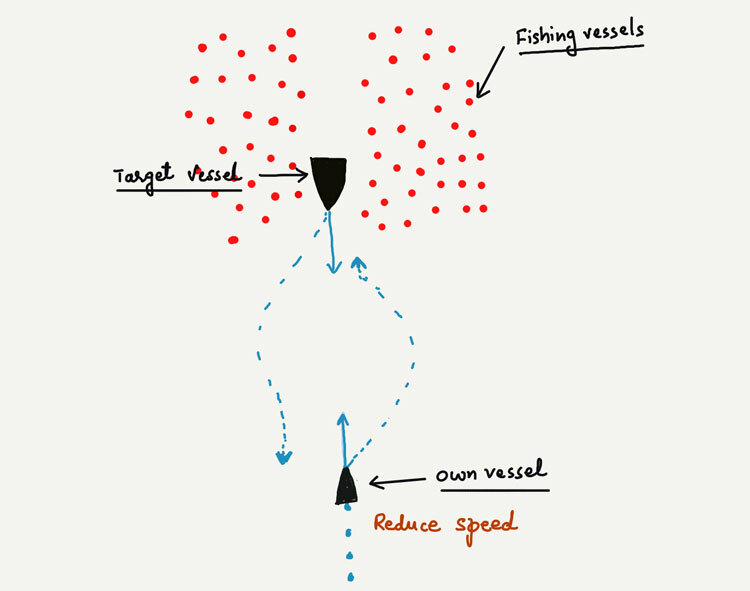 For example, in the above case, we can reduce our speed as a proactive measure and meet the target vessel in an area that is clear of the fishing traffic. There is a lot of emphasis on this term in rule 2: the Ordinary practice of seaman. In simple words, this term just means “common sense”. Not every situation will be listed in the COLREGS and rule 2 is just asking to use common sense when dealing with the situations. In an area of restricted visibility, the master may have posted the lookout as required by the company’s SMS manual. But the ordinary practice of seaman may require the master to post additional person (over and above the requirements of bridge watch level) on the wheelhouse or on forecastle considering the other factors like traffic density in the area. Calling the master on the wheelhouse at the right time is another example of precaution required by the “ordinary practice of seaman”. 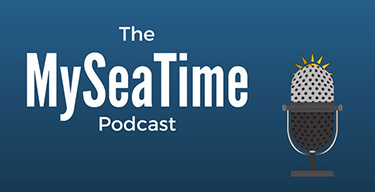 The term “ordinary practice of seaman” tries to fill any gaps in the COLREGS. 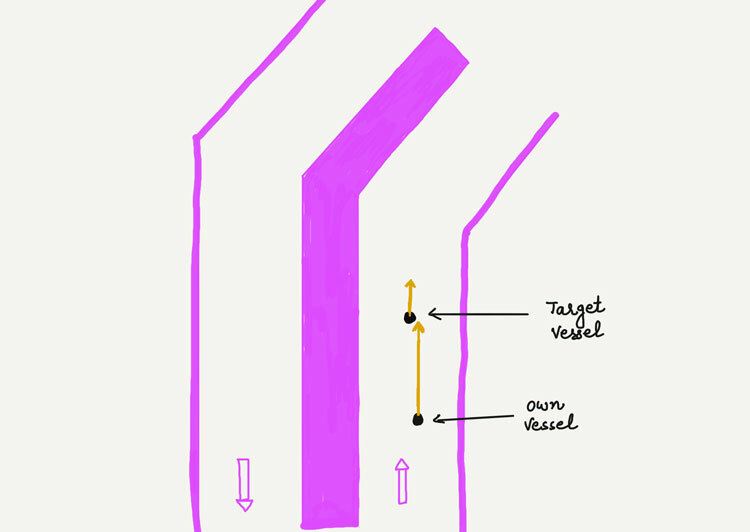 Also, consider the overtaking situation in a TSS where you are overtaking another vessel. Rule 13 requires that we can overtake the vessel from any of her sides. But precautions as per the “ordinary practice of seaman” suggests that we must overtake this vessel from her port side. This is because, at the time of overtaking, she is most certainly going to alter her course to her starboard. But let us assume that we decided to overtake her from her starboard side and which led to a collision. We have neither violated rule 13 (overtaking) nor rule 10 (traffic separation schemes). But we may still be charged with the violation of COLREGS. We have violated rule 2 as in this case we have failed to take the precautions required by the ordinary practice of seaman. I can go on and on with similar situations where navigators need to take precautions as per the ordinary practice of seaman. 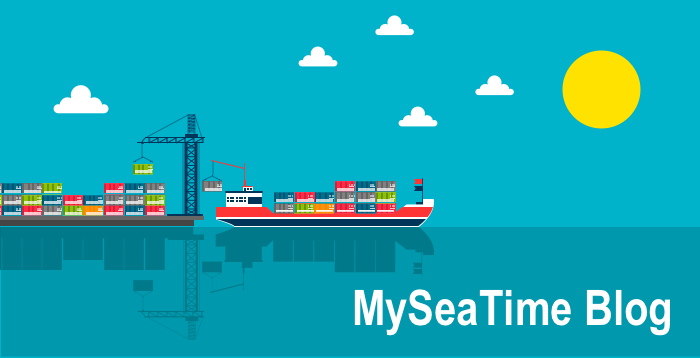 The bottom line is that we need to follow COLREGS and there is no doubt about it but while doing so we also need to take precautions as required by the ordinary practice of seaman. The first part of rule 2 warns us about the consequences of not following the COLREGS and here is the second part of the same rule allowing us to violate the COLREGS. But this is also the part that is incorrectly interpreted most of the times. The most common mistake that I see is we quote this part of the rule on every occasion that we have difficulty taking action as required by the COLREGS. 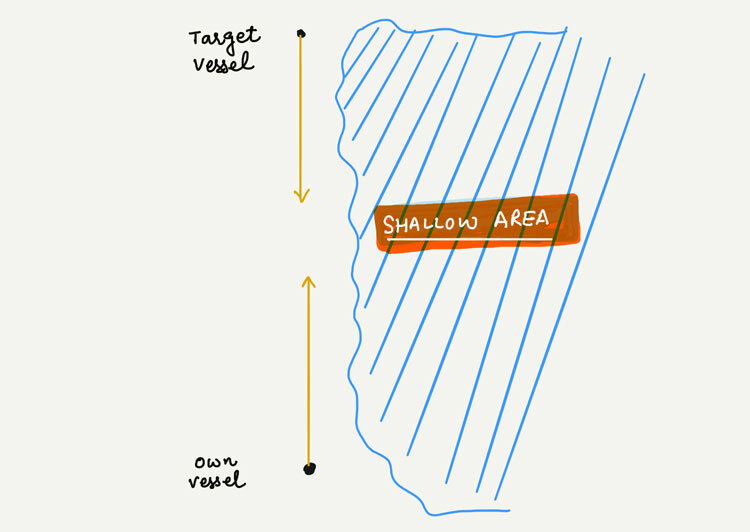 A head-on situation with target vessel at a 6NM range and there is a shallow patch on the starboard side. Can we alter our course to port citing rule 2(b)? Rule 2(b) allows us to make the departure from the COLREGS only to avoid immediate danger. “Immediate danger” is important phrase here. Even in situations of immediate danger, it is not that we always have to take action contrary to what is expected as per COLREGS. We need to take into account the dangers of navigation such as fishing traffic on one side or shallow patch area on one side. After considering these dangers, if it is necessary to make a departure from the COLREGS, we can proceed. 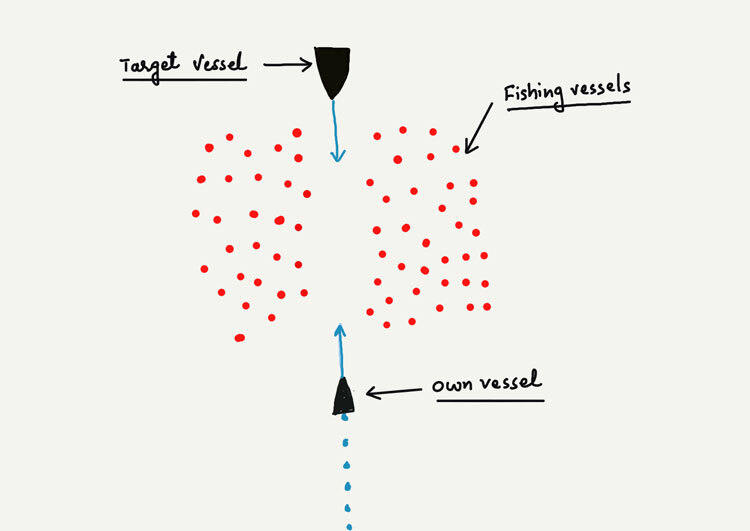 In deciding if the departure from the rules is necessary, we also need to take into account the limitations of not only own vessel but another vessel too. Let us say you find yourself in a head-on situation (immediate danger situation) with a loaded VLCC which is slow steaming. There are few vessels overtaking you from your starboard side and there is no way you can alter your course to the starboard side. VLCC would have a limitation here. She cannot effectively alter her course. Considering this limitation, it would be best to quickly alter your course to port (hard to port) to avoid immediate danger. Even if VLCC tried to alter her course to her starboard, she would have a very slow (or negligible) rate of turn and would not come in way of your port turn. This is just one of the example. All this part of rule 2(b) is asking us to consider the limitations of the vessels when deciding if the departure from the COLREGS would be the best possible way to avoid immediate danger. Rule 2(b) only allows us to violate the COLREGS to avoid only the immediate danger. For example, if you have altered your course to port to avoid immediate danger of collision with the VLCC, it does not mean that you can continue with the violations with other nearby vessels too. The departure from the rules is allowed only for a brief period to avoid the immediate danger. As soon as that danger is clear, you must come back to the COLREGS compliance immediately. COLREGS rule 2 (Responsibility) is one of the most important rules. It sets the seriousness of the COLREGS compliance and warns about the consequences for non-compliance. Rule 2(a) requires that not only we need to comply with the COLREGS, in doing so we also need to take precautions so that we do not land in a situation where non-compliance with the COLREGS is the only way to avoid danger. In other words, we must use the ordinary practice of seaman when complying with the COLREGS. After the immediate danger is clear, the vessel must return to complying with the COLREGS with other vessels in the vicinity. Thanks for this wonderful post. Really Helpful. Ottima ed esaustiva spiegazione della regola 2 della COLREG. Grazie. Thanks for explaining in simple language Sir. Can you pls explain what would be the ideal action in 2nd scenario where we have one head on vsl at 6NM and Shallow patch on stbd side. As stbd alteration is not possible and reducing speed will take longer time to be apparent to the other vsl and say we reduced our speed but target vsl is still not taking any action? Not ending up in situations like this is exactly what "ordinary practice of seaman" means. But if we have managed to land ourselves in this situation, ideally we need to get in touch with the other vessel well in time. If that was not possible we need to assess if we can alter a bit to starboard and pass the other vessel with little lesser than usual CPA. If you are already on the edge and there is absolutely no room on starboard side and the only possible way is to alter to port we must do that by altering 90 degrees or so. And more importantly do that when the other vessel is still more than 5 miles. We must not think of altering to port when the other vessel is in close range as if the other vessel realise her duty at the wrong time and alter her course to starboard that would be chaos. Well explained sir. Thanks for expounding the topic. It really helps. More articles please. Best explanation ever. Keep up your work. Very well explained. It may be added that Owners are also responsible to ensure that qualified, trained and experienced master and crew is placed on board. sir there is is mistake here...We have neither violated rule 13 (overtaking) nor rule 9 (traffic separation schemes). rule 10 is TSS. Thanks for pointing out this typo. Corrected. Good Day Sir , Pls clarify my doubt .when vessel heading North & sees a north cardinal mark, we are running into danger,so what are the heading we can call we ruining into danger when a north Cardinal is right a head ......example if i see a north cardinal on my right head & heading between 315 to 045 ???? It is not related to the our ship's heading. The danger is north of the cardinal mark. If we are seeing north cardinal mark on our right ahead it means we are already running into danger....The safe water lies north side of north cardinal mark.. Please correct if i am wrong.. Thanks for pointing out this typo. It has been corrected. A cardinal mark is a sea mark (a buoy or other floating or fixed structure) used in maritime pilotage to indicate the position of a hazard and the direction of safe water. Cardinal marks indicate the direction of safety as a cardinal (compass) direction (north, east, south or west) relative to the mark. Thank you Sir, for such nicce explanation. Sir can you please tell me what will br the course of action if i see aground vsl head of me in tss. thanks in advance. Hi. Just wondering why, say" I intend to overtake you FROM your port side" but not "ON" your port side. For the rest .... good job. Thank you so much for this sir.